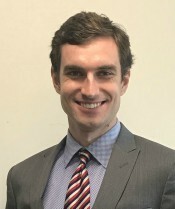 Griffin Edwards serves as Assistant Director for Global Food Security and Foreign Aid Effectiveness Programs and Assistant Director of Communications. His previous experience includes journalism, law, and public relations. Griffin is a graduate of St. Olaf College in Northfield, MN, with a double major in international development and Russian language. He is a member of Dobro Slovo, the national Slavic language honor society.